Welcome to another Monday Montage Blog Hop! 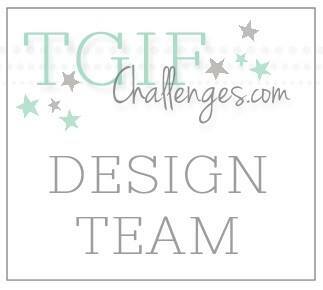 These ladies always have awesome projects, and I can't wait to see what they have created! The card I have to share with you is simple, but very pretty. On this card, I colored the flowers from the Flower Shop stamp set with Melon Mambo Blendabilites. Instead of stamping and coloring them on Whisper White Card Stock, I embossed the image on Vellum Card Stock and colored on the back of the image. 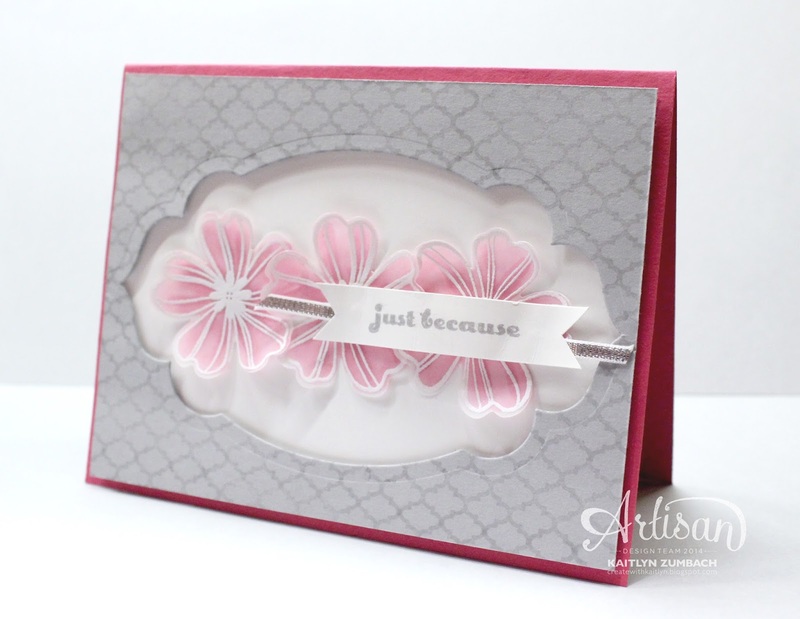 This creates a soft look that is really pretty and delicate. As you know, I love a simple card that still has a wow. On this card I let those flowers, punched out with the Pansy Punch, be the star. I framed them with the Apothecary Accents Framelit Dies and added a touch of Silver Ribbon for some shine. Don't forget to click the "Next" button below to see what Melissa and everyone else has created! ooh pretty! Love the colors! The little silver ribbon adds the perfect touch! What a great technique! I have been wanting to try this. Your card looks so soft and pretty! These flowers are so soft and pretty! And I love how you've framed them. 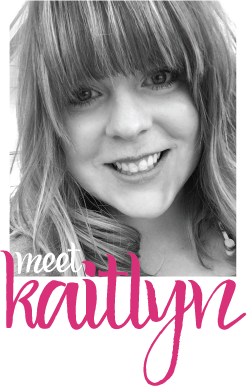 Beautiful card, Kaitlyn! This is beautiful! I love the velum flowers! 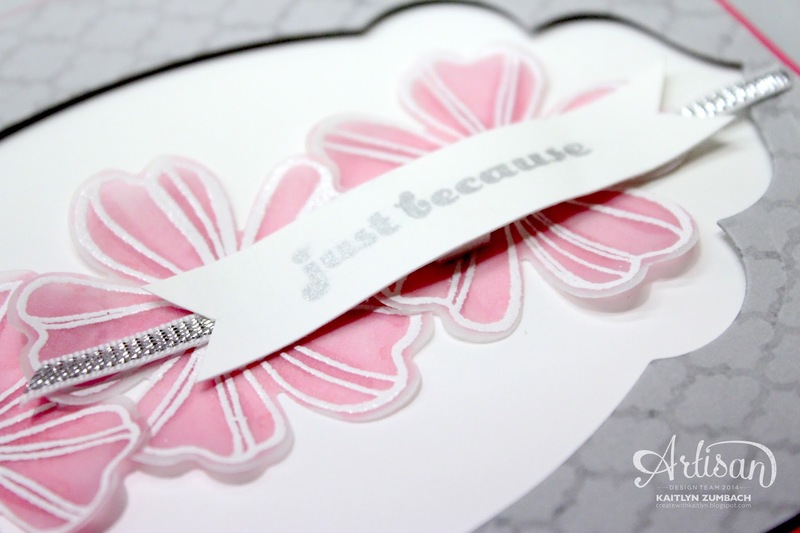 Gorgeous...lovely - velum adds so much to most any card design!